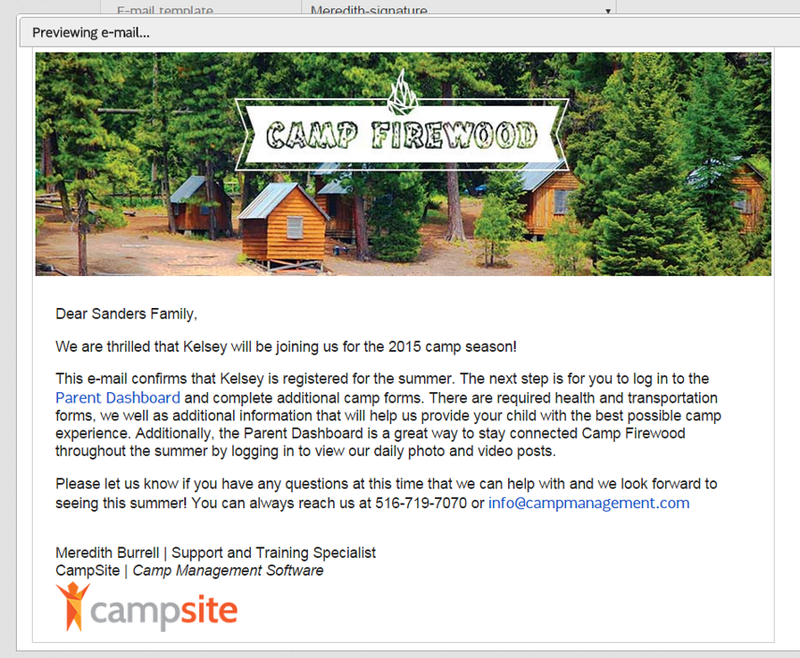 When your CampSite database was created, a default e-mail template was set up that allows your e-mails to be branded with the same header as your parent and staff-facing pages. In addition to the default template, you can create additional templates, for example, a template which automatically includes an e-mail signature when selected. 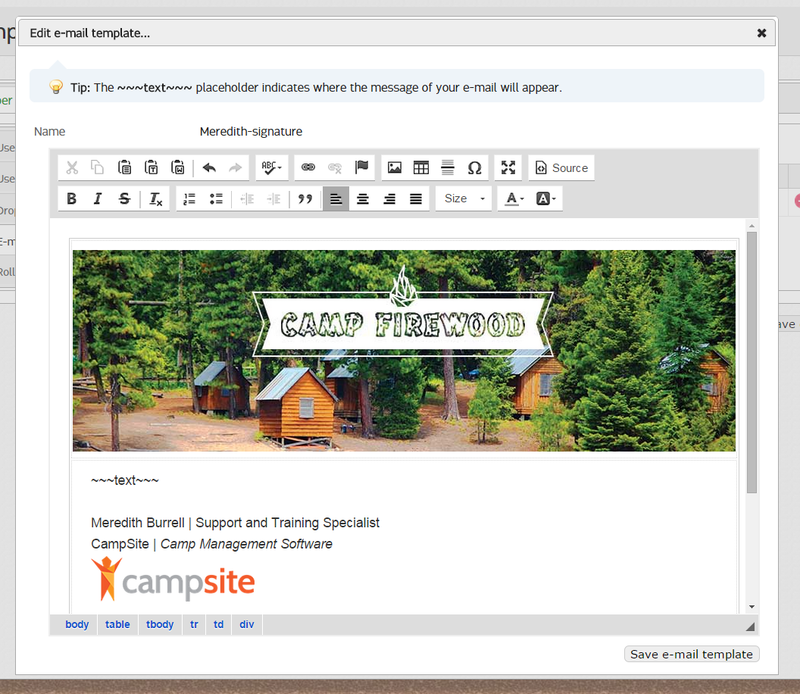 Additional e-mail templates can be created in Admin > DB Management > E-mail templates. Enter the name of the new template. You may choose to start with the content included in your camp's default template, which will use your default header image. Double-click the pencil to edit the e-mail template. 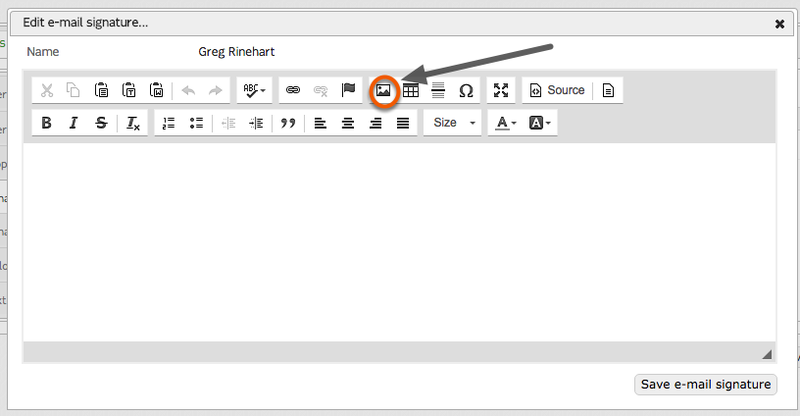 The WYSIWYG text editor will open with the existing template. You may add any additional content that should be included. Be sure to leave the "~~~text~~~" placeholder, as the body of your e-mail will appear in it's place. After adding the content, click Save e-mail template. 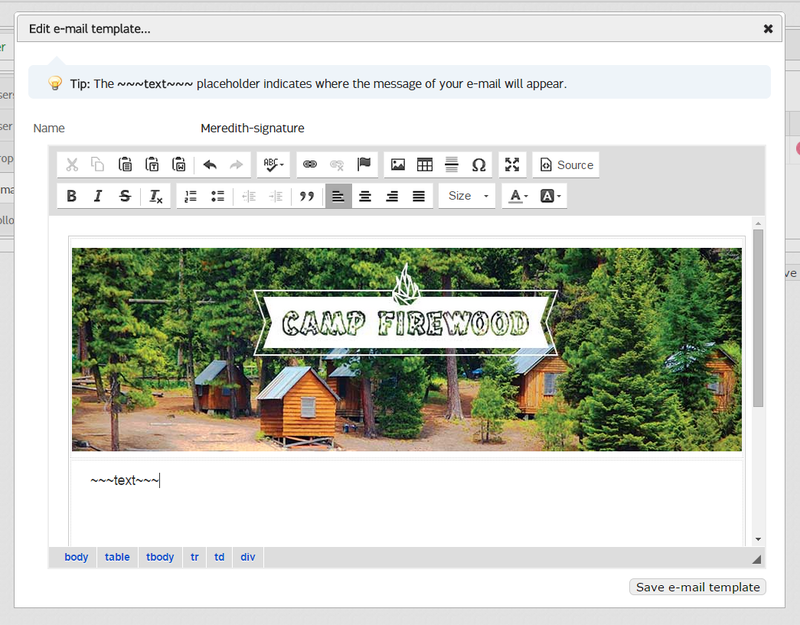 When composing a new e-mail, you'll be able to select the new template. The information populated on the new template will automatically be included on the e-mail, and the "~~~text~~~" placeholder replaced with the e-mail's content. E-mails now have the option to add a signature which can be created here for DB Users. Here you can type the name that you want saved as your signature. Click submit to save it. If you would like to edit the signature you can by double clicking on the pencil.